Sell Your House Fast In Casa Grande! 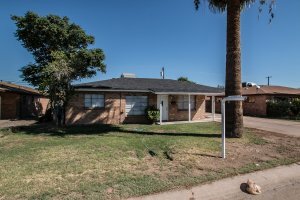 We Buy Houses In Casa Grande! Sell Your House Fast For Cash Anywhere In Arizona! We Can Help. We Buy Properties Anywhere In The Casa Grande Area. Check Out How Our Process Works. We’re Ready To Give You A Fair Offer For Your House. Need to sell your house fast? We are the local “We Buy Houses Casa Grande Arizona” company. If you want to sell your Casa Grande home for any reason, we will make you a fair no-obligation all-cash offer. We even pay all closings costs. We purchase homes in Casa Grande and the surrounding areas. Do You Want to Sell your House in Casa Grande? No Commissions – There’s no middleman so there are no extra fees involved. Don’t call a Realtor and wait – and wait – to sell. We are not interested in listing your house and hoping to find you someone that will purchase your property for cash. We are the cash buyers. Unlike most other so-called investors, we will not act as the middleman and look for other cash buyers or investors. We will buy the property from you and either keep it in our rental portfolio or remodel the house and resell at a later date. Phoenix Home Buyers Group is Arizona’s premier real estate investing company. If you don’t believe us, look at our reviews from happy customers and decide for yourself. We make the home buying process as simple as possible. After you contact us either by phone or website, we will send one of our acquisition managers to look at your house and do a visual inspection. We will then make you a cash offer on the spot. After you accept, we will arrange all documentation with the local title company. We prefer to use American Title Agency or Security title but can use any other title company if you have preferences. After closing, the title company will wire the money to an account of your choosing. It’s that simple and easy.